Classic, traditional, sturdy and comely; the Teak Adirondack Chair Set has been a steadfast favorite since it arrived in our stores. 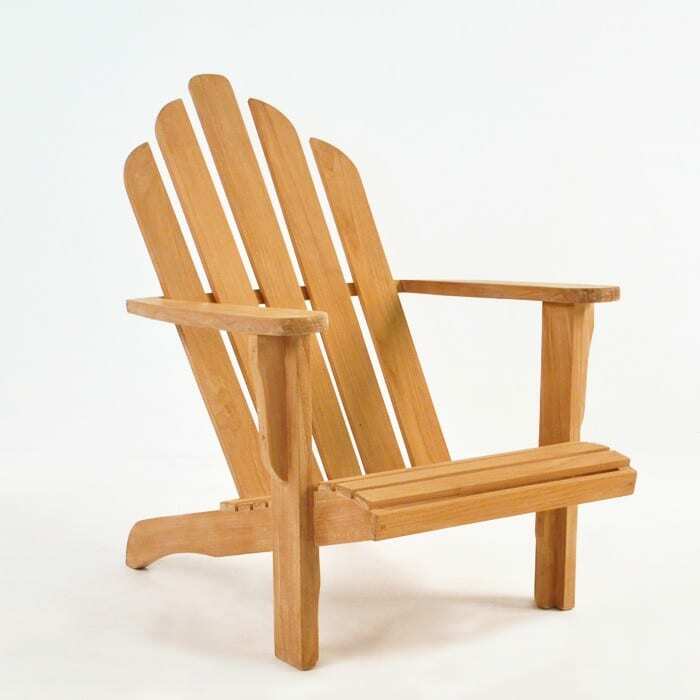 Designed at the turn of the 20th Century, the Adirondack Chair has long been regarded as the perfect chair for seaside homes, resorts and pool side as well as in the garden! This traditional teak relaxing chair features the quintessential 5 back panels, elegantly curved up on a high angle for ultimate relaxation, while the Footstool is a perfect fit! Our Adirondack Chair Set is made out of A-Grade Teak, recognized and revered for its high levels of natural rubber and oil content, ensuring a quality product that will stand the test of time. Compliment your outdoor setting with a classic favorite. 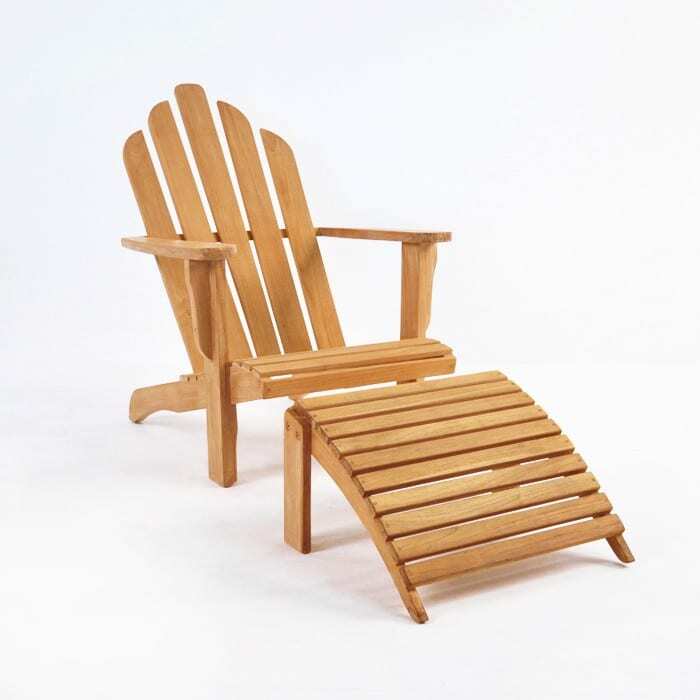 The USA Made Adirondack Chair has achieved timeless popularity because of its high level of comfort and attractive style. 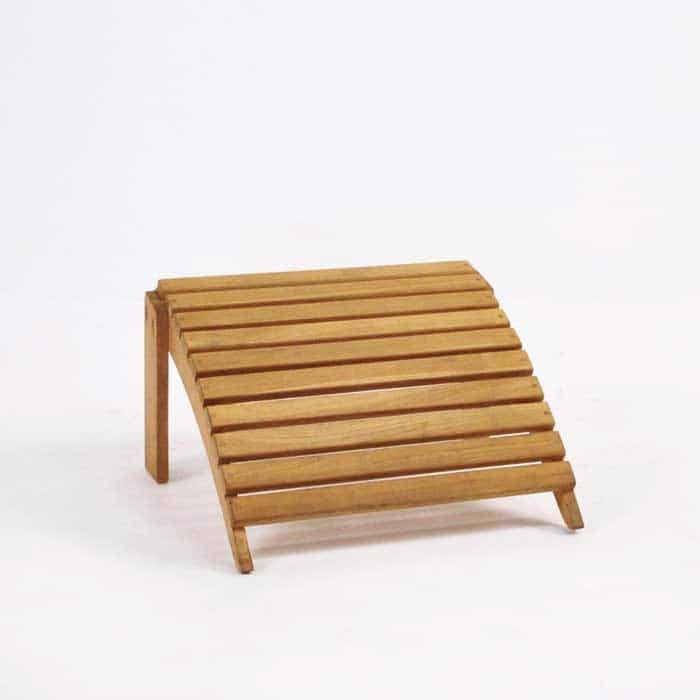 This traditional teak relaxing chair and footstool works poolside, beachside, on the patio, in the garden, or out on your porch! You decide! 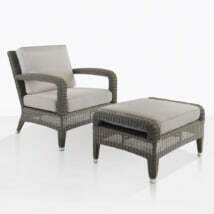 Set up two Adirondack Chairs and Footstools on your verandah facing the ocean with a couple of Medium Nest Tables, for a wonderful spot to take in the sunsets. Or if you want to make a tranquil area just for you in the garden, place an Adirondack Chair under a 9ft Sunbrella Umbrella for a shady section of relaxation. 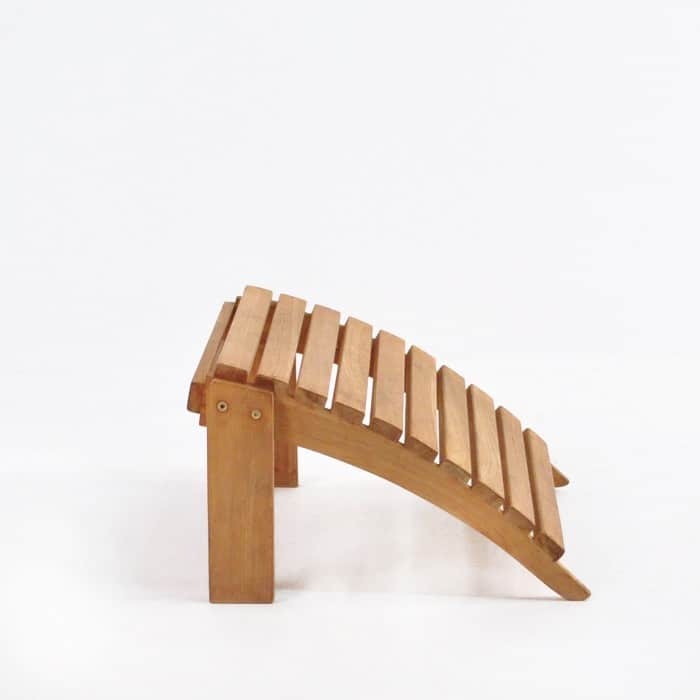 Place two of these gorgeous chairs and footstools out on your porch as a great fixed alternative to the rocking chair. Add in your choice of side table and enjoy watching the world go by. We love the Adirondack Chair Set beside a swimming pool, with your blue and white striped beach towel thrown elegantly over it, a white Tiki Square Umbrella overhead… the utter relaxation is waiting for you!!! 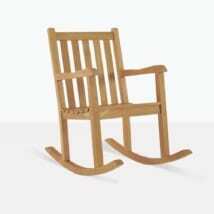 This Teak Adirondack Chair shown here with Footstool can be bought separately. Let the time honored tradition of these beautiful chairs find a place in your home!